From 1 to 3rd of October, the city of Bilbao and the Basque region, together with the Mondragon Group and Laboral Kutxa Bank, hosted the fourth edition of the Global Social Economy Forum (GSEF). GSEF is an international network that brings together local governments and civil society stakeholders committed to support the development of Social and Solidarity Economy (SSE). During this 3 days event, participants closely related to SSE shared innovative cases and knowledge. 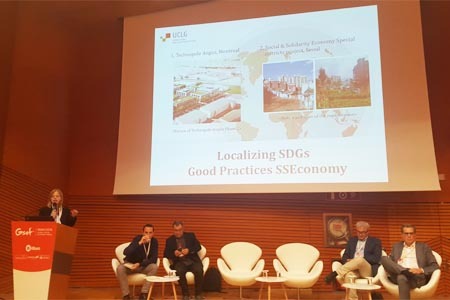 As a token of strong support, the Secretary General of UCLG, Emilia Saiz, emphasized the importance that UCLG membership attaches to social economy mechanisms as the bases for the transformation of economic models and reinforcing inclusive communities as part of co-creation of sustainable societies. Emilia Saiz expressed the great that the vision of the 2030 Agenda provides, as well as the importance of ensuring that the UCLG Community of Practice on Social Economy, led by the city of Seoul, can guarantee close links with the findings of the GSEF. 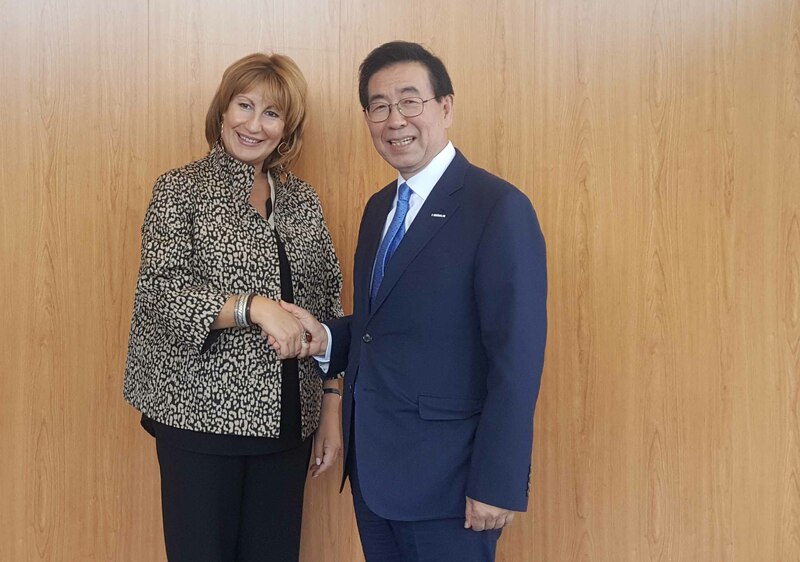 She further expressed her gratitude to the Mayors of Seoul and Bilbao for the continued support to the World Organization. On the second day, the UCLG Learning team held a session on social economy together with the Local Economic Development Commission of UCLG, led by the FAMSI, by its acronym in Spanish (Andalusian Municipal Network of Solidarity) and ILO (International Labour Organization). The event provided a great opportunity to share good practices of SADECO, the waste management enterprise of the city of Cordoba, and the Andalusian network of Solidarity Economy. 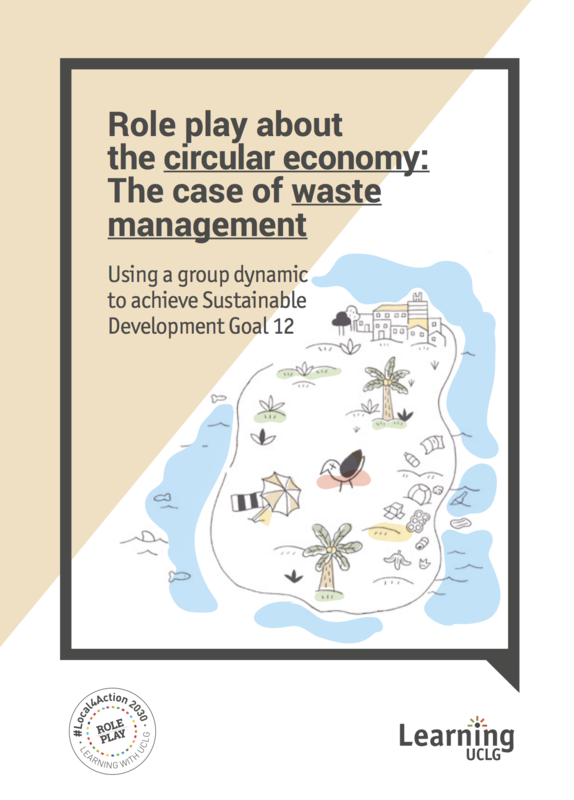 UCLG embedded these inputs as part of a role play game about circular economy. The audience, that engaged very actively in the event, stressed on the “perfect match” of the concepts of social and solidarity economy with fields such as waste management- which can have a very important component of community engagement- and SDG 12, which is not only a goal that involves the private sector but a complex goal full of social and local opportunities. Follow the last updates #GSEF2018.